There are already 33 confirmed speakers and 51 confirmed sessions, with more being added each week. You can find biographies of the speakers, as well as abstracts of the scheduled sessions, on our conference web site. A full agenda will be provided soon and a mobile session builder is being constructed. A large part of the success of this event is due to the ongoing support of our great sponsors. If your organization would be interested in a sponsorship opportunity, details are available on the web site, or you can email sponsors@stlouisdayofdotnet.com. Thanks to the current sponsors who have already stepped forward for this year’s event! 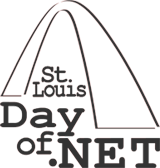 Will St. Louis Day of .NET happen again in 2012? I would like attend this and learn more about it. Can Someone inform me if there is any? Many thanks!